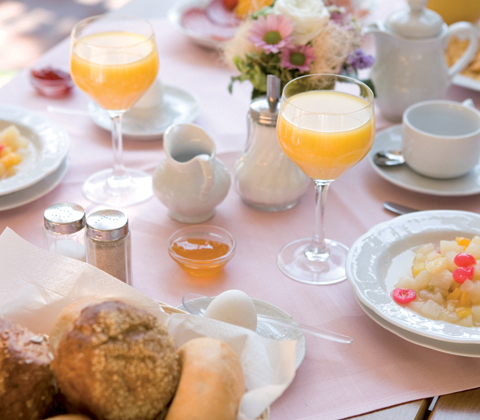 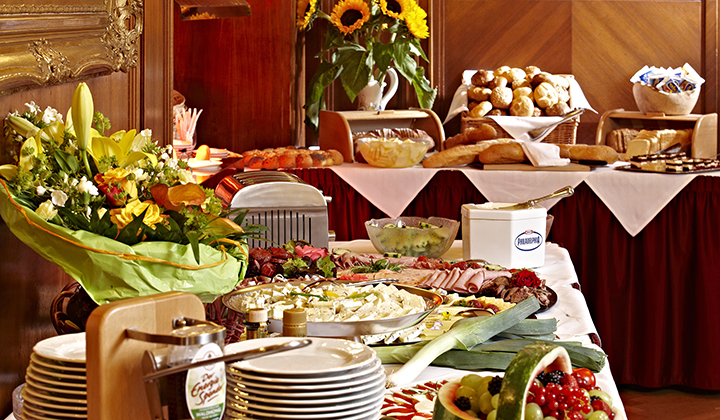 In the morning a wonderful breakfast buffet is waiting for you in the rooms of our restaurant ‘Hubertus’ for a good start of the day. 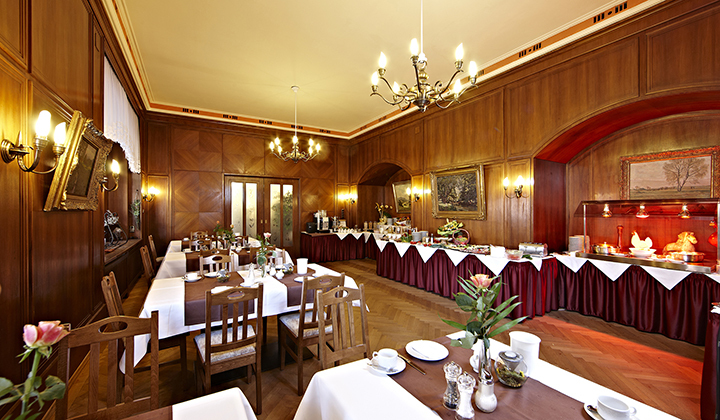 At lunch- and dinnertime we offer you a varied menu of Bavarian and international specialities. 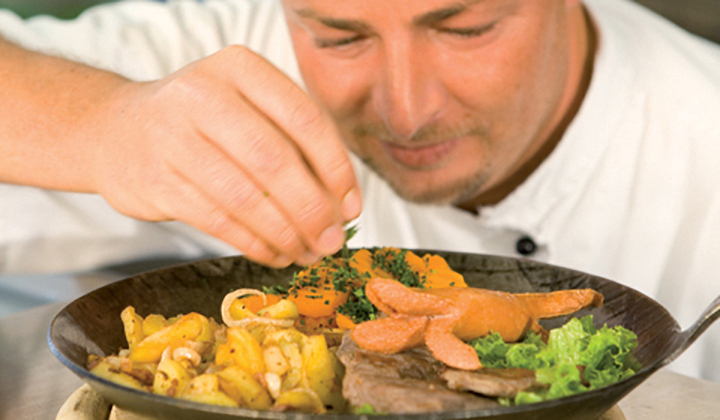 Our chef is inspired by the four seasons. 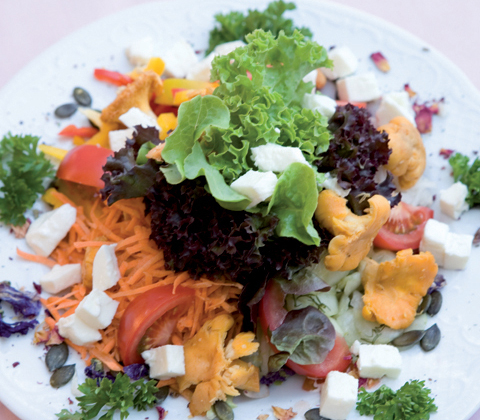 For asparagus and mushroom season or game season the chef creates wonderful meals, and in summer, light, fresh salads are part of the concept. 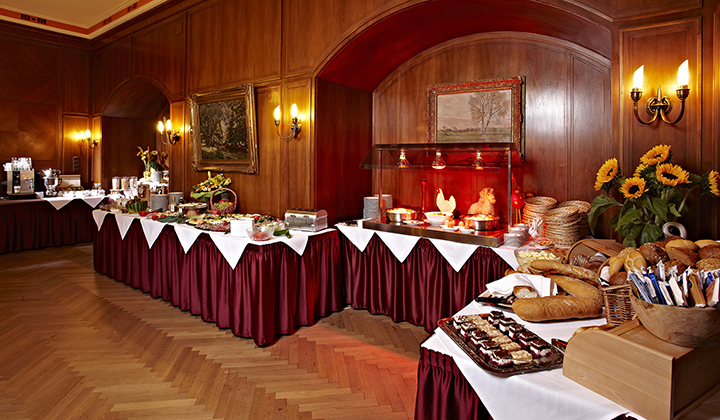 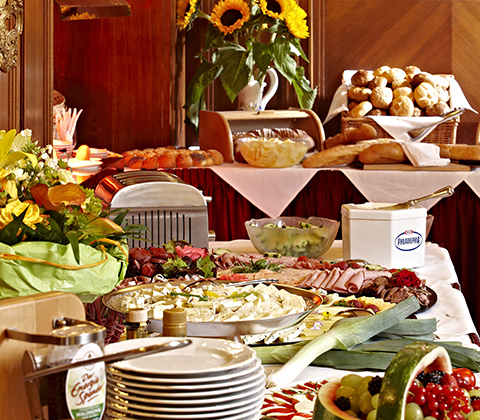 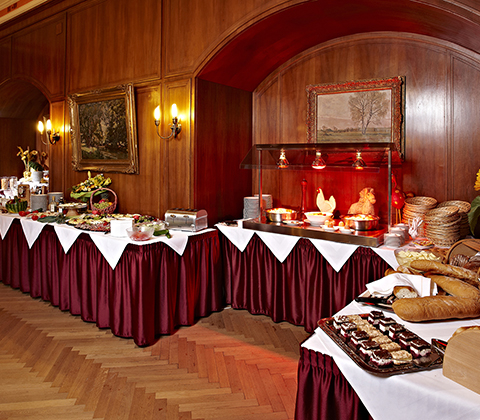 In addition to that, at Hotel Vier jahreszeiten we have tempting buffets with specialities. 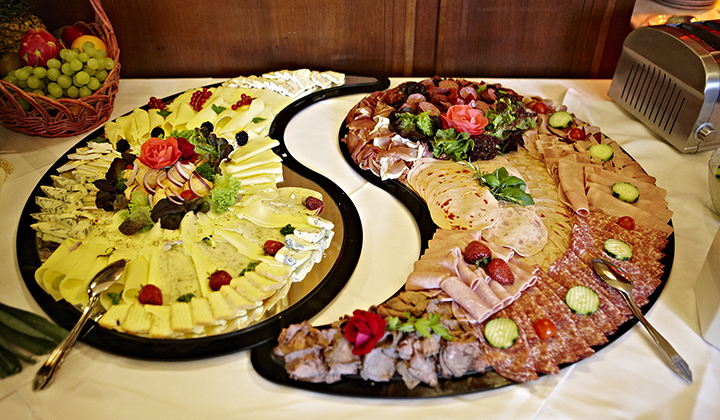 And last but not least there is our very popular, traditional ‘Haxnessen’ (Knuckle of pork). 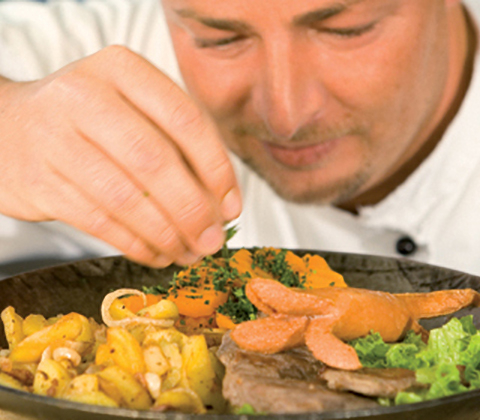 You can enjoy your meals on our sunny terrace, with the mountain view everything tastes even better. 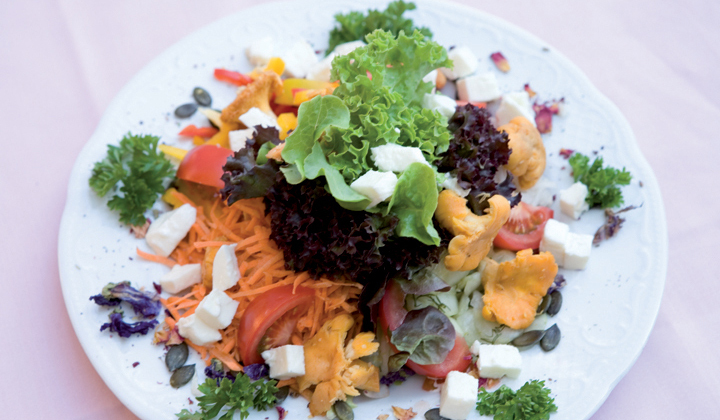 For the little ones we offer a children’s menu and a great playground for working off excess energies. 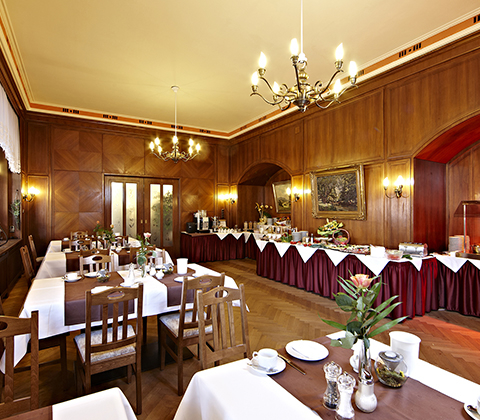 The restaurant is open from 11 am – 10.30 pm. 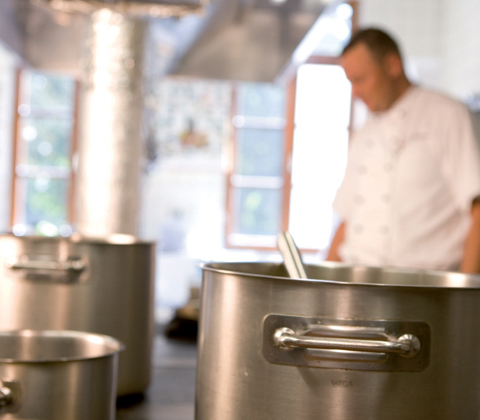 Our kitchen is serving food from 11 am – 2 pm and 6 pm – 9.30 pm. 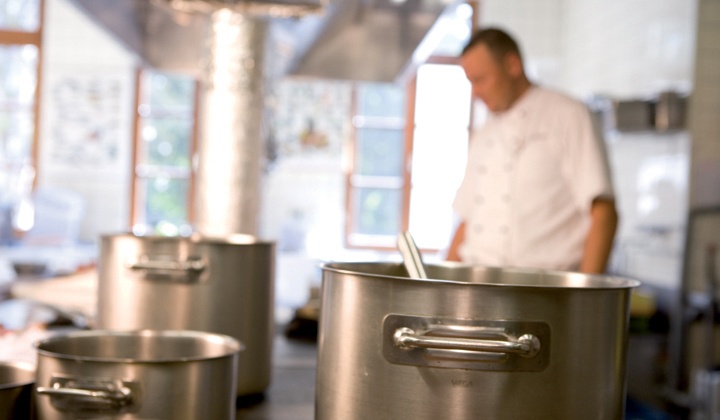 Our restaurant will be closed because of holidays from the end of October until the beginning of December. 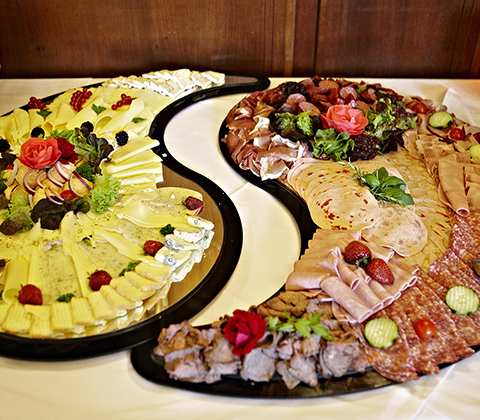 During this period our reception is only open until 6 pm. 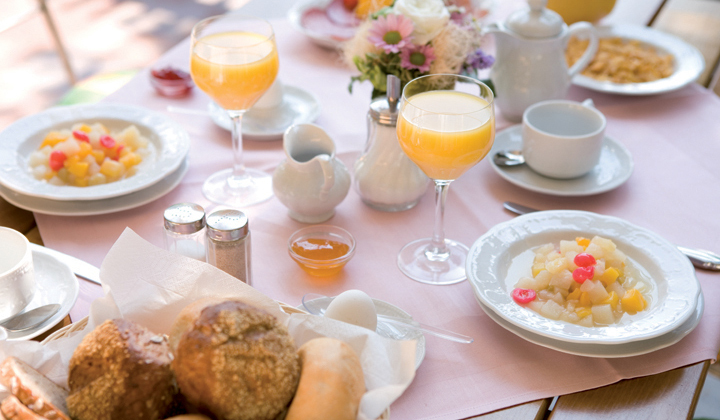 Breakfast will be served as usual from 7 – 10 am.